The Women's Resource Center is 75% grant funded and relies heavily on community donations and fundraising. Fundraising can be difficult, as we are in a low-density populated area. WRC is a 501(c)(3) nonprofit organization. All donations are tax deductible. We appreciate all donations! The Women's Resource Center serves all of Beaverhead and Madison Counties. Both counties are designated as "Frontier Counties" as identified by the US Department of Interior (i.e. less than or equal to 6 persons per square mile). We are the sole provider of emergency shelter and services for victims of domestic violence or sexual assault. Poverty and isolation are significant risk factors for abuse. Rural women experience higher rates of Intimate Partner Violence, abuse of greater severity, and have more difficulty accessing resources due to distance, geography, and lack of resources. The outlying service loop is roughly 500 miles. On average, we serve 320 clients a year and provide 2000 direct and supportive services. 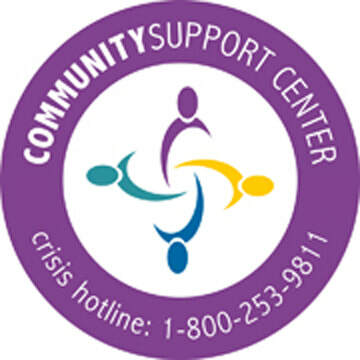 We answer 160 crisis hotline calls and provide around 400 hours of free professional counseling.